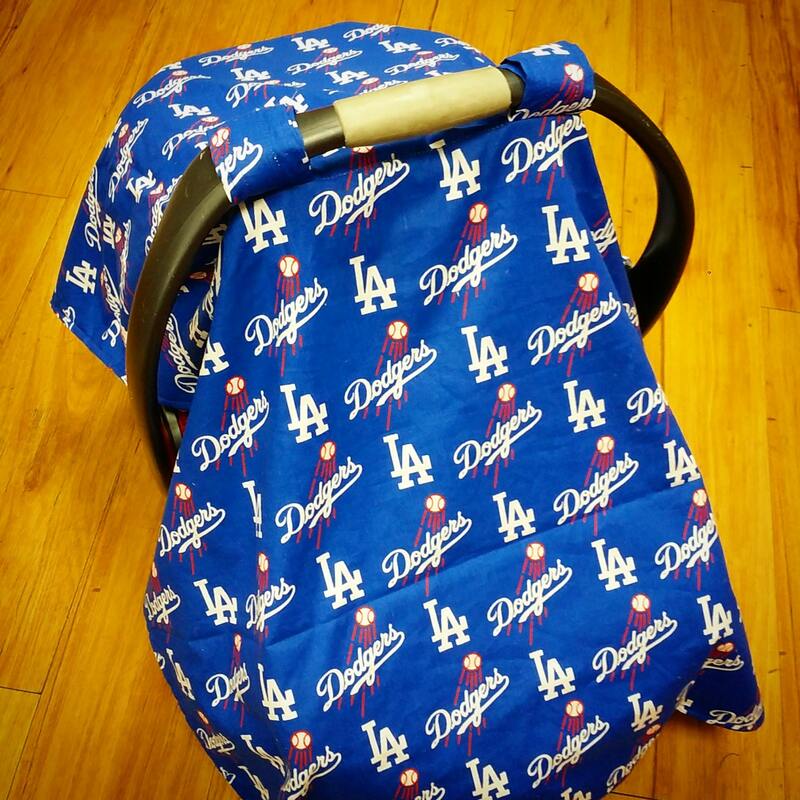 Checkered MLB Dodgers print on top, grey minky dot on the bottom - or your choice of minky fabric on the bottom. 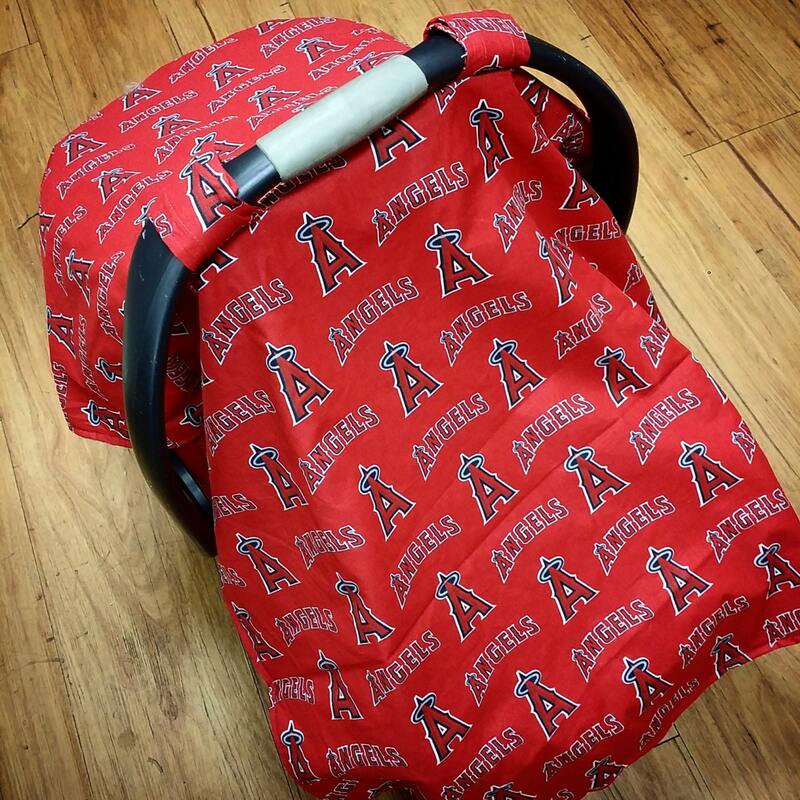 Carseat cover fit perfect! Came a day before expected arrival. I couldn't be anymore happier with the product!